UC Berkeley Events Calendar: PMB Seminar : "Stressed! 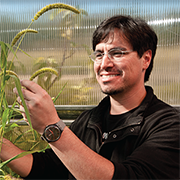 How plants acclimate through dynamic responses"
PMB Seminar : "Stressed! How plants acclimate through dynamic responses"